Joseph and his new business partner Lord Sugar looked at a number of software companies and after a rigorous tender process chose BigChange Apps’ JobWatch system. 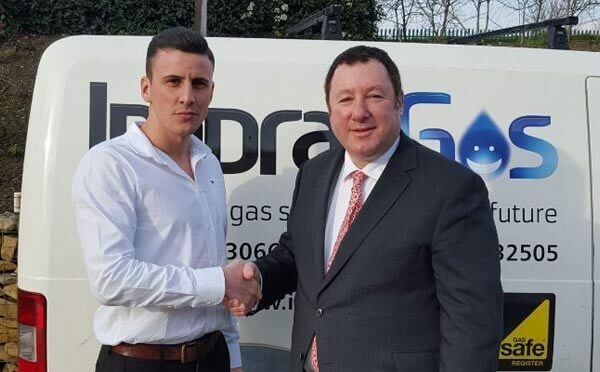 Joseph is focused on growing his business and wanted a system that could literally manage all aspects of work and scale perfectly with Impra-gas. The JobWatch system allows customers to book work which is dynamically scheduled to the correct engineer on a mobile app with the correct workflow including health and safety, compliance and step by step job instructions. Customers enjoy a great user experience with live updates confirming Estimated Time of Arrival and electronic job cards including certificates relating to plumbing and heating work. Impra-gas are dedicated to providing fantastic customer service.